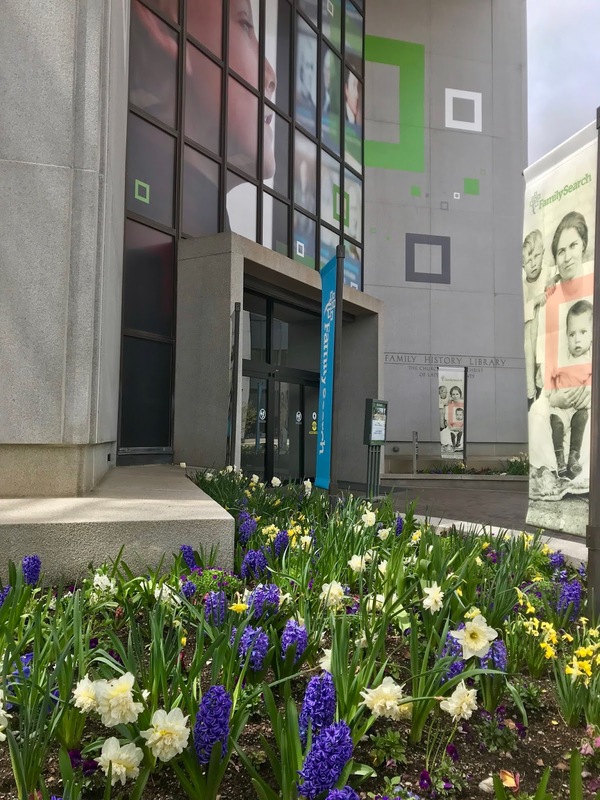 With 12 hours in the famed Family History Library, could I turn up enough clues to find out what happened to my fourth great-grandfather Jerome Andrus? Jerome had disappeared from the paper trail after the death of his maybe wife (I don't even know whether they married). 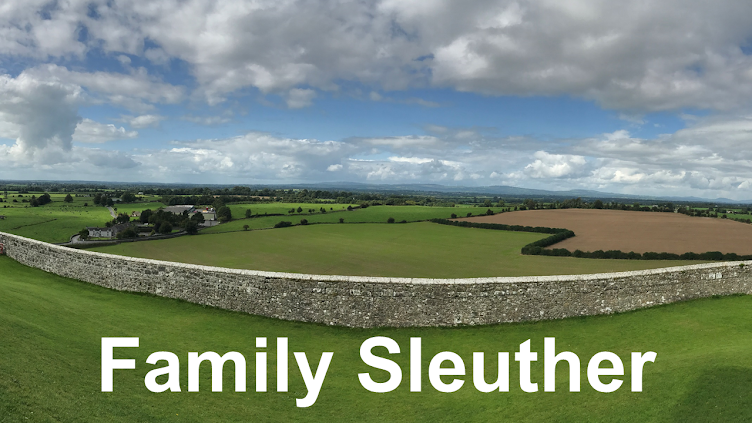 Surely the Family Sleuther could sleuth out an old man from the latter 19th century. 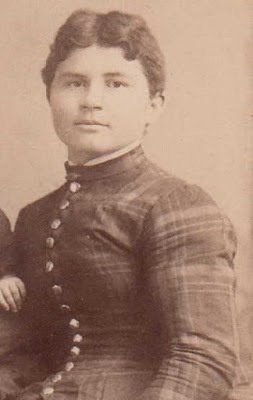 Jerome Andrus was the father to my third great-grandmother Mary Jane Andrus. The identity of Mary Jane's mother - and Jerome's presumed wife - remains a mystery. Mary Jane was born in December 1862 in Bradford County, Pennsylvania. Her death certificate identified her father as Jerome Andrus, but the mother was "unknown." Mary Jane's 1945 obituary explained that her mother died when she was only three weeks old. 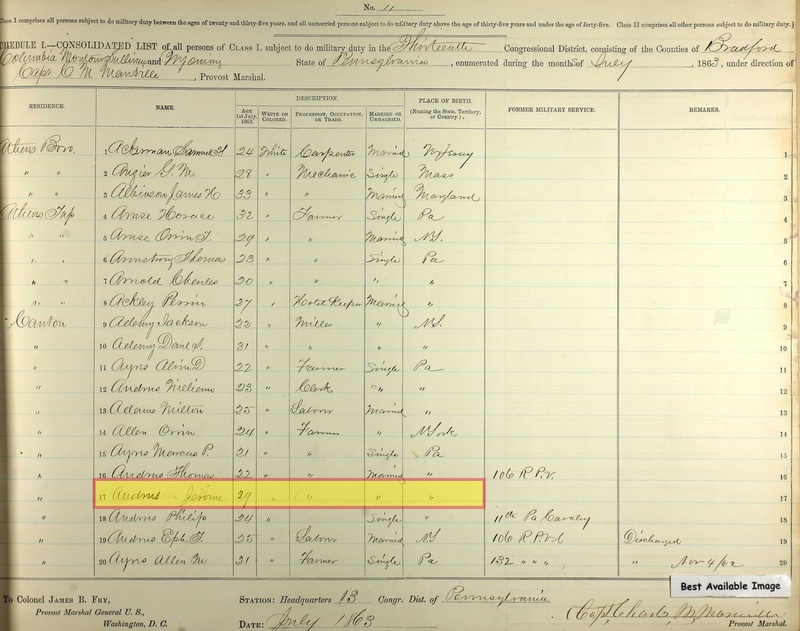 For whatever reason, Jerome did not raise his daughter and Mary Jane was left to "kindly relatives, Mr. and Mrs. Jared Beardsley, who adopted her as their own on January 3, 1863." See An Unknown Matriarch Cloaked in Mystery. 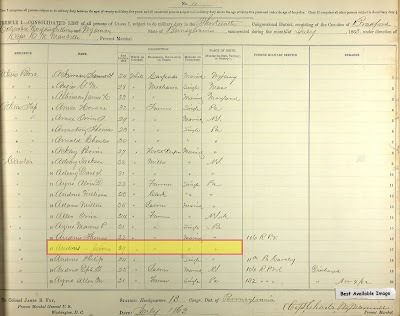 According to a July 1863 Civil War draft registration record for Bradford County, Pennsylvania, Jerome Andrus was married. If the record was correct, Jerome Andrus had already remarried just eight months after the mother of his daughter Mary Jane had passed away. As I searched for more information, I quickly learned about the misery joys of Pennsylvania research. For example, I tried to find marriage records for Jerome, but repeatedly came up empty-handed. 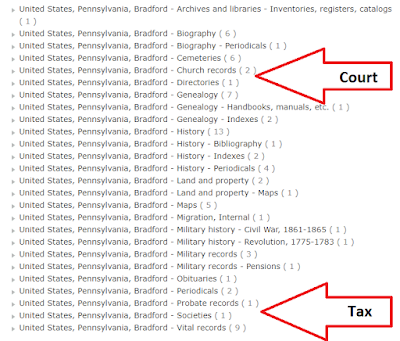 The FamilySearch Wiki explained that, "Pennsylvania counties recorded few civil marriage records before 1885." Pennsylvania did a poor job of keeping civil records. I was also surprised to discover that court records - that could detail Mary Jane's adoption by the Beardsley family - were not microfilmed nor digitized by FamilySearch and were only available in the Pennsylvania State Archives. Furthermore, there were no tax records that could help me locate and follow Jerome. 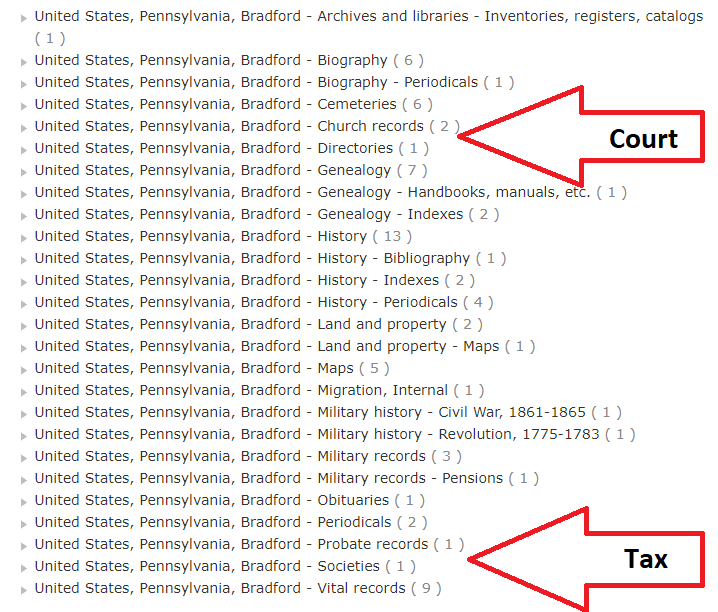 Pennsylvania does a poor job of broadly sharing existing records with researchers. 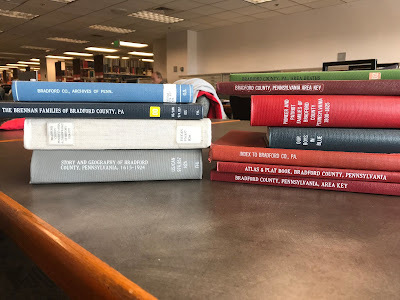 As the desperation mounted, I pulled nearly every book from the shelf on Bradford County. I soon realized that Jerome had once again won the day: his whereabouts would remain a mystery, for now. The investigation would have to wait until I could make it to the state archives in Pennsylvania. The day wasn't an entirely unsuccessful, though. 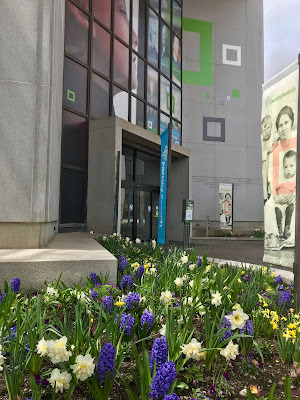 While conducting research in the Family History Library, I ran into True Lewis, a genealogy buddy who I've followed with admiration online, and author of family history blog, My True Roots.